Garth has drawn and painted most of his life. Work and travel took him away from his art for a few years but he never lost sight of his dream to pursue art in a fashion he could only imagine. Garth pursued his art interests using regular pencils and coloured pencils, ink, pastels, oils, acrylics and watercolour, the latter being his passion. His art subjects include landscapes, structures, people (posed and non-posed), animals and abstracts, each with its own unique challenge. 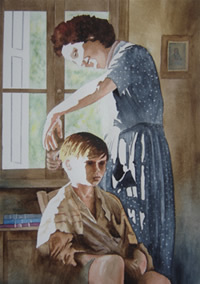 People are his passion and he has been commissioned to do portraits as well as other subjects. Garth spent two years in Mbarara, Uganda, teaching school at which time he kept his art alive by drawing or painting the people, places and animals he encountered. His works have sold in Uganda, Kenya, Tanzania, the U.K., Ireland, Scotland, the United States and Canada. An electronic reproduction of Garth's works was juried and accepted in the Gaudemater Gallery, Czestochowa, Poland and the Avisen-avk Art Gallery, Denmark. Garth's art can be seen at his website www.garthpalanuk.com. Garth is on the Board of Directors' for the Local Colour Art Group and the Eastern Manitoba Artists Co-op. He is a member of the Arts Council of Selkirk, Manitoba and the Manitoba Society of Artists. 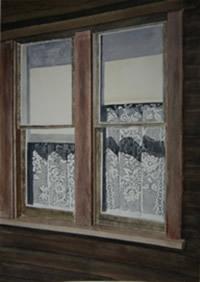 His work was accepted for show at an open juried exhibition sponsored by the Manitoba Society of Artists. He is co-founder of "Art Rocks", a non-profit group established for the purpose of providing an exhibition and outlet for amateur artists.